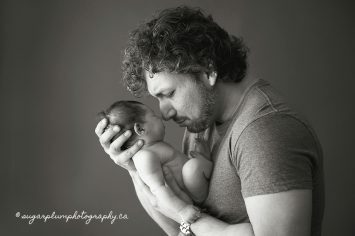 The Toronto newborn photography studio is located near Christie & Dupont and proudly servicing the GTA. We are a full-service boutique photography studio offering a wide range of luxurious products. As such, you can expect hand-crafted premium albums, pearlescent prints, to stand-out pieces of wall art. 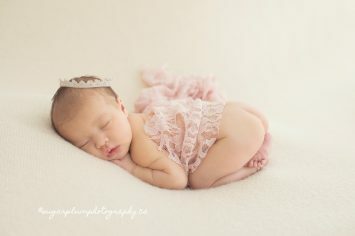 The newborn photography studio has been meticulously designed to meet baby’s every need. The portrait studio is the perfect environment for professional newborn photographer Gosia Dixon to work her baby whispering and posing magic. 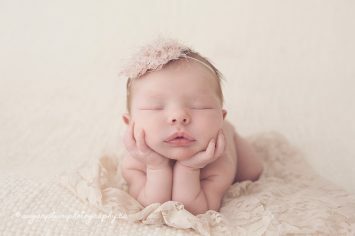 Gosia artfully poses your newborn baby, creating one-of-a-kind pieces of art with the most precious subject in the world. Follow us along and add some pretty photos to your INSTAGRAM from our sessions! Gosia Dixon has been a contributor to Parent Canada Magazine and her work featured in the Shoppers Drug Mart baby bump campaign. Please inquire for commercial projects. Gosia continually works with local children’s charities, donating her time and talent to photograph and benefit events. In addition, she has memberships with The Professional Photographers of Ontario (PPOC) and National Association of Professional Child Photographers (NAPCP).